“Everybody loves the underdog”, sang Jarvis Cocker. Why? Because we have empathy for them and makes for a better story. Think of David & Goliath, Denmark beating Germany at Euro 1992, Braveheart winning against England, Avis’ We Try Harder mantra. We always seem to root for the underdogs that take on the big guys. In our new quarterly event, Breakfast Club, we talk with brand-owners about their priorities and challenges. Last Friday, we hosted the first of the kind under the topic “Small Sharks, Big Fish – Are small brands the next big thing?”. 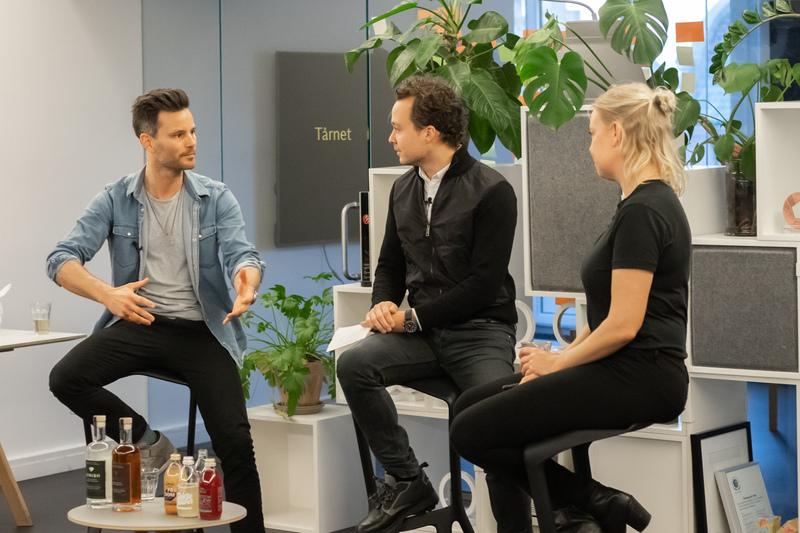 We were joined by Morten Sørensen, founder of ISH spirits, and Line Hoff, founder of Læsk, about being a small shark in a sea of big fish. Why do big brands try to act small and what can the small brands learn from the big ones? What are their priorities and challenges in their quest to become the next big thing? What are small brands getting right? While larger brands enjoy recognition, impact, stories, traditions and often have economic advantages, a growing number of small brands are challenging them by creating new niches while accommodating consumers’ growing curiosity. Beyond being smart and agile, they have an exceptional drive and are more focused and attentive to the needs of consumers. Both Line and Morten agreed that due to their size, they felt closely connected to their consumers. Yet, this closeness is also a worry. How do you scale it? When Morten isn’t there to tell his story or Line can’t handle all customers herself. In other words, how do you remain small in the minds of the consumer when you grow bigger? Line argued for extreme honesty and openness. And to show the inner workings of the company. The mistakes that are being made, the fun times, hard times, the journey and the successes. Why? Because it makes the brand human. There is a natural inclination to relate with the underdog and it is an exciting and natural role most small brands can claim simply by being honest and open for the outside world. Something big brands rarely do. Morten’s added to Line’s point and advocated for remaining interested and interesting. This mindset has opened more doors than he could ever have expected. Rather than becoming yet another gin brand, whiskey brand or rum brand, he wants ISH to become a truly free spirit. Historically brands in his category stuck to one type of products. He looks to challenge that with a wide range of exciting alcohol alternatives. To remain interested and interesting.